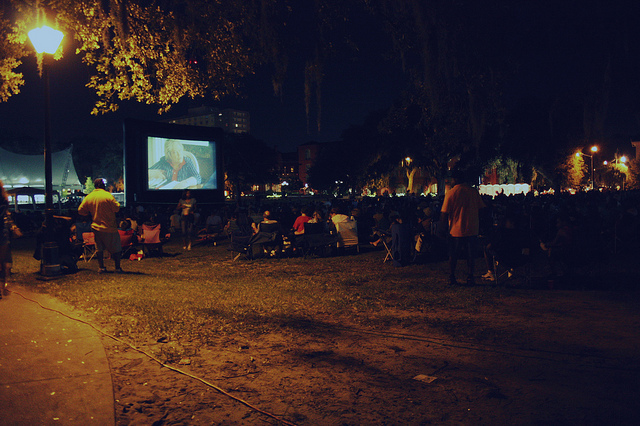 McLean Park in North Myrtle Beach plays host to free outdoor movies from June until October. Bring your beach blanket or chair and enjoy concessions for sale by the North Myrtle Beach Lyons Club! June 10 – Pan (PG) 8:45 p.m.
July 8 – Norm of the North (PG) 8:45 p.m.
Aug. 12 – The Good Dinosaur (PG) 8:25 p.m.
Sept. 9 – Shaun the Sheep (PG) 7:30 p.m.
Oct. 14 – Hotel Transylvania (PG) 7 p.m.
For more information, click here! To check the day of event weather information call the ‘Rec Check’ hotline at (843) 280-5594 ext. 3.